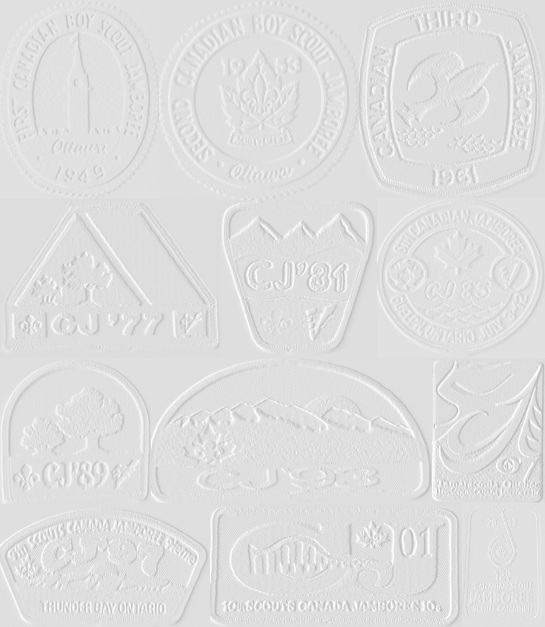 The purpose of this site is to list all Canadian Jamboree related memorabilia including badges, pin, printed material and any other CJ related items. Please help to make this reference better by letting me know of any additional items that should be listed, by sending me pictures for any items that do not yet have a picture, or by letting me know if there is any listing that you know 100% for sure should be removed. cjbadges.txt is a Downloadable list of all CJ items currently listed on this Website in .txt format.